Five small business owners will receive house calls from American Express OPEN and Facebook branding experts who conduct in-depth marketing makeovers. Winners will also receive $25,000 in cash to implement the social strategies they learn from the makeovers. The local communities of the winning businesses will also benefit. Winning businesses can invite other local entrepreneurs to meet a panel of social media and marketing experts to teach them how to use social channels for their business. See website for details and to enter. 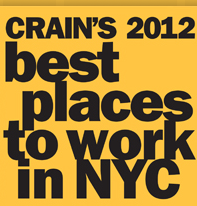 This survey and recognition program is dedicated to identifying and recognizing New York City’s best employers. Publicly or privately held businesses with at least 25 full or part time employees are eligible to enter. 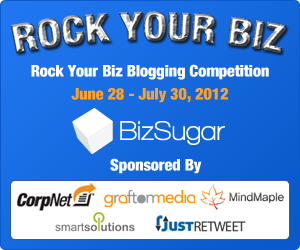 The 2012 Small Business Influencer Awards are now open for nominations! The Influencer Awards honor companies, organizations, apps and people who have made a meaningful and lasting impact on the North American small business market. Impact may mean (i) providing products widely used by significant numbers of small businesses, or (ii) influencing significant numbers of small businesses by being a thought leader, or (iii) providing information or services of note to significant numbers of small businesses. Nominate here. Bulgarian PM Boyko Borisov has vowed that his government will try to compensate Bulgaria’s poorest for a raise in the price of electricity that is to enter in force Sunday. Bulgaria’s energy regulator, the State Commission for Energy and Water Regulation, announced Friday that the price hike will be as high as 13%, not the expected 10%, which were already seen as too steep. “There are some 300,000 poor people in Bulgaria whom the Ministry of Labor and Social policy has to help via energy aid so that they don’t feel this raising of electricity prices,” stated PM Borisov Saturday. Over 2,000 people gathered for the 5th annual Sofia Gay Pride, which is taking place in the Bulgarian capital Saturday. LGBT people, as well as heterosexual citizens, joined the event to express their desire for equal rights to all, and to protest against continuing discrimination against people of differing sexual orientations in Bulgaria. The rally, which includes a march through central Sofia, and a concert later Saturady evening, is going on without any conflicts or violence. UK Minister of Foreign Affairs William Hague has called UN Security Council members to draft a resolution allowing the use of military force to tame the conflict raging in Syria. Saturday a number of foreign affairs ministers are meeting in the European headquarters of the UN in Geneva in a so-called Action Group for Syria to discuss measures to be taken regarding the troubled country. In his speech, Hague made it clear that his position still radically differs from that of Russia, represented at the meeting by Minister of Foreign Affairs Sergey Lavrov. The second bridge over the Danube linking Romania and Bulgaria at Calafat and Vidin will be ready by the end of the year, announced Bulgarian Minister of Transport Ivaylo Moskovski. Saturday Moskovski accompanied Bulgarian PM Boyko Borisov and EU Regional Policy Commissioner Johannes Hahn on an inspection of the project for the so-called Danube Bridge 2. “82% of the bridge itself is completed at the present moment, 90% of funds have been used, 92% of outlying infrastructure has also been completed,” summarized the Bulgarian Transportation Minister. You are currently browsing the Business, finances, forex blog archives for June, 2012.